During a recent trip to Cabo (I need to do an entire post on the amazing, wonderful, mindblowing resort we stayed at called the One and Only Palmilla) I found this beautiful textile. The headboard in our room was covered with this woven bright orange tapestry with birds and other little creatures dancing around. If you know me at all, you know that the fact that it was orange was enough to get me hooked. Add on that it is a print (yeah, I’ll go for pretty much anything in a print before even thinking about a solid color) and I was double hooked. 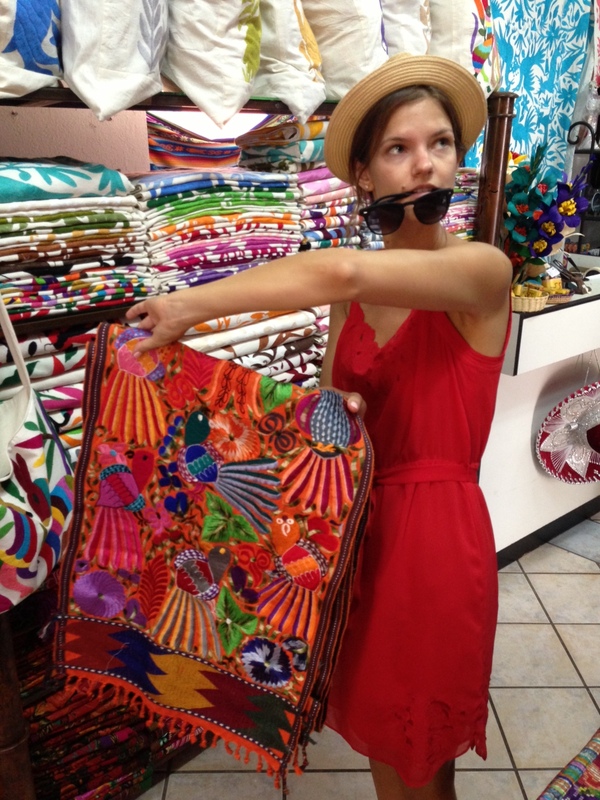 Walking around the galleries and tourist shops in San Jose Del Cabo, I found this fabric from the room for sale. Much to my delight, it comes in every bright color you could want. I later found out it is called Otomi fabric, after the people that make it. Here is one display. You could buy runners, pillows, or “table cloths” pre-made. Honestly, I’d love to use a table cloth as a quilt! And it is so expensive because the designs are hand embroidered. Guess I’ll just have to plan another trip to Cabo to pick up some pieces. That’s legit, right? 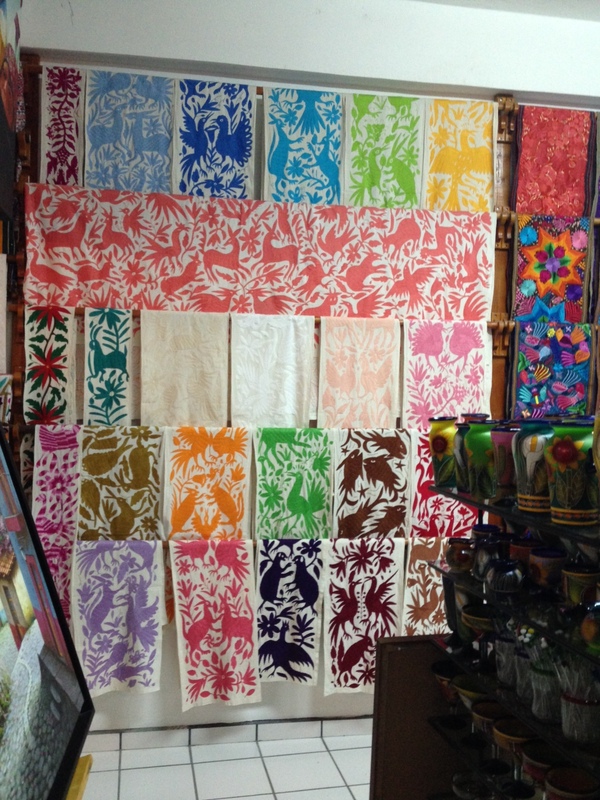 Hi Alli, I’m in Cabo now and would love to find some great Otomi fabric. Would you happen to remember where this store was located in town? Or what the name was? I’ve had a hard time finding a place with a good selection. Thanks! Hi Krystal, I stumbled into this shop while checking out the downtown area of San Jose. There is a place where they make it down in Cabo San Lucas, but I can’t remember the name. Most hotel concierges should be able to give you the name!